We are a young company committed to providing our clients with high quality design at affordable prices. Whether your project involves extension or renovation of an existing property or a complete new build development, we focus on providing our clients with thoughtful design solutions that are contexturally responsive and utilise sustainable construction methods for all our projects. As a small company we are flexible in our approach and provide a personal, bespoke service for each project. Whilst most of our work has a particular focus on residential projects and remodelling family homes, we also carry out small commercial projects for private developers and SME businesses. We have expertise in work to existing properties including extensions, renovations, loft conversions, restoration as well as new build. 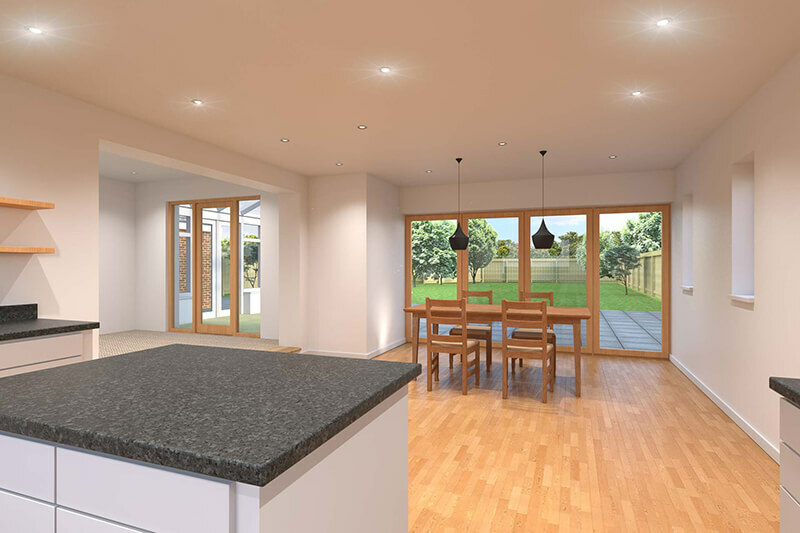 Our recent projects include internal alterations, including kitchen and bathroom designs, and large two storey extensions. We have extensive experience in taking projects through to Planning and Building Regulations (Warrant) approval, including Conservation Area and Listed Building Consents, in a number of Local Authorites covering the Edinburgh, Lothians and Newcastle areas. We are passionate about design and look forward to the unique challenges that every new project brings. Through our approach we aim to ensure that our designs not just meet our clients expectations and aspirations, but to exceed them. We will manage and co-ordinate your project through the varoius stages of the design process, so that you dont have to. Our experience and expertise means that we can do this effetively and efficiently helping to deliver your project on time and budget. We are committed to providing a professional service in all that we do. All of our team are Chartered RIBA, Associates of the RIAS and Registered ARB architects. We also maintain Professional Indemnity Insurance for our architectural services.